Being able to review a Progeny Press eGuide was a nice addition to our morning time routine. It gave us the opportunity to study a piece of literature by the late Eleanor Coerr. Through the eGuide, we were able to study one of Eleanor’s earlier books using a Biblical perspective. My girls and I reviewed The Josefina Story Quilt – eGuide. 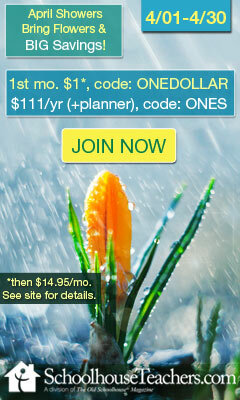 It is geared toward lower elementary grades 1 – 3. Reading the book and going through the eGuide was nice because I love the idea of patchwork quilts. In fact, I used to own one. It was given to me by my great grandmother Rosa. That quilt was a prized treasure. It also saved our lives one night. Back when kerosene space heaters were in nearly every home that I frequented, my grandmother, Mary Frances, had to fight a kerosene fire. And the closest thing we had to smother the flames was Grandma Rosa’s quilt. The quilt that had so many memories of Grandma Rosa’s life experiences. Memories that were even more precious after she had passed. I like to think the love that was put into each patch also saved us that night. That’s how I began our morning study of the Josefina Story Quilt. Spiritual encouragement and reflection is part of our morning routine and Progeny Press eGuides for Lower Elementary fit in quite nicely with that. 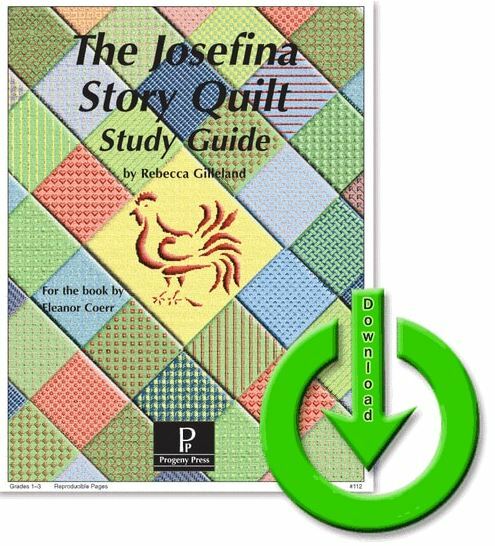 After my initial reading of the book, The Josefina Story Quilt, I’ll admit I wasn’t sure how the eGuide would fit. There are no blatant bible references in the story. I was glad to see how the eGuide took the time to introduce the setting of the story with activities and vocabulary before we read it together. As you go through it, you notice that the eGuide leads with questions to help the reader understand the text better. Then, a Bible verse is presented relating to those questions. This helps put the literature in a Biblical perspective. As Christians, WWJD is not just a catchy phrase. It is a question that we must consistently ask ourselves. How can what we’ve just experienced, what we’ve just heard, or what we’ve just read be put into perspective based on our faith? Based on our Christian values and belief? Of course, this includes the study of literature. The Dig Deeper section had us doing just that. Going through the book again to get the answers to each question. Not just letting the text go over our heads. And again with related scripture passages to help us examine the events in the book as they relate to biblical teachings. And how we can apply those teachings to our own lives. The Crossword Puzzle Review also sent us back to the text searching for answers. I must admit, I didn’t recall the answers at once. Although we have yet to complete them, the Activities, Arts, and Crafts at the end of the eGuide was an immediate hit. Without giving too much away, I had been searching for a certain recipe. Lo and behold, there it was in the pages of our Progeny Press eGuide. Our morning time benefitted with the study of The Josefina Story Quilt using the Progeny Press eGuide for Lower Elementary. One portion that we couldn’t fully experience was the Suggestions for Further Reading. There was so much included in the eGuide’s reading and discussion that there really wasn’t enough time for additional study. The Pre-reading Activity suggested we listen to a recording from the Further Reading section. The recording comes with a physical book. I had to search to find the physical book and recording. When I did, I wasn’t certain that I would be able to get it in time to go through the suggested activity before starting the story. So, I went on a YouTube search and was grateful to find the song. Being a music teacher, I would have enjoyed having the book and recording. I think the book and eGuide would be best suited to second and third grades. It introduced vocabulary and literary terms that were a good fit for my third grader. For my first grader, some of the terms and questions were a little more advanced. There was a lot of critical thinking required. 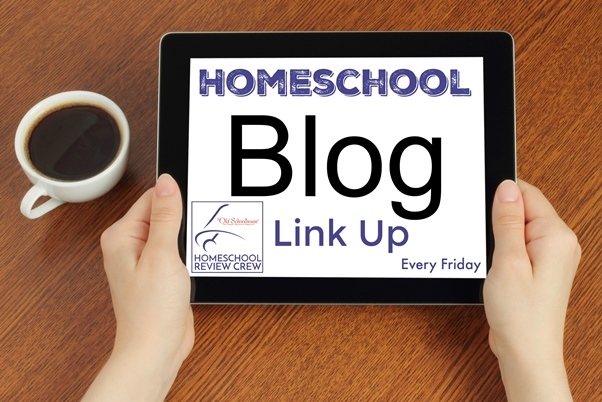 While we, as parents can certainly instruct our children on what good gifts are, some six-year-olds may have a different immediate answer on the idea of gifts and what is best. Even though I would love to look through other eGuides that challenge and engage my youngest, I am happy to note she enjoyed the related activities. If you’re interested in finding out more about Progeny Press, their eGuides, or study guides to include in your language arts curriculum, click here to check out their website.